One of the standout novelties for A. Lange & Söhne at SIHH 2014, the 1815 Tourbillon is the first watch to finally make the accuracy claims of the tourbillon testable in a real life situation. Coming with two patented mechanisms, one for stopping the tourbillon cage, and another for resetting the seconds hand to zero, this innovative watch is explained to us by A. Lange & Söhne CEO Wilhelm Schmid. 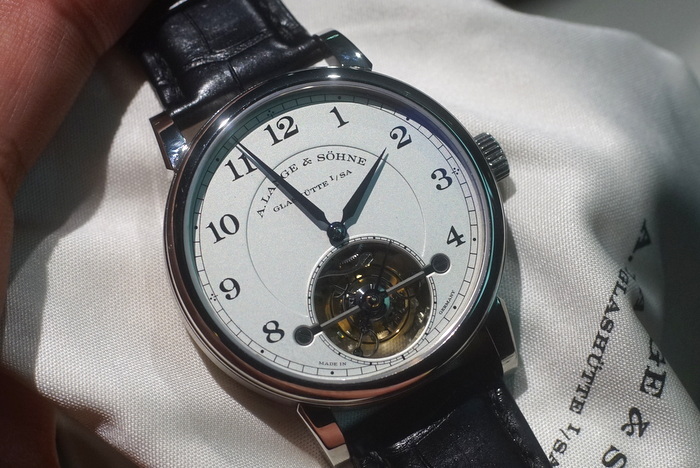 We wrote about the 1815 Tourbillon as part of an article (Click here to read the article) about the brand’s novelties for SIHH 2014, and quite simply, we consider this watch one of the top innovations presented. Have a look at the video below for more.